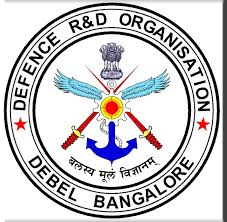 Today, DRDO is a network of more than 50 laboratories which are deeply engaged in developing defence technologies covering various disciplines, like aeronautics, armaments, electronics, combat vehicles, engineering systems, instrumentation, missiles, advanced computing and simulation, special materials, naval systems, life sciences, training, information systems and agriculture. Presently, the Organisation is backed by over 5000 scientists and about 25,000 other scientific, technical and supporting personnel. Several major projects for the development of missiles, armaments, light combat aircrafts, radars, electronic warfare systems etc are on hand and significant achievements have already been made in several such technologies. Aeronautical Development Establishment (ADE) is a key Aeronautical Systems Design House in Defence Research and Development Organization (DRDO). Since its formation in 1959, ADE has been playing an important role in the design and development of a variety of aeronautical systems required by the Indian Armed forces. The research, design and development activities of ADE include development of Unmanned Aircraft Systems and ANURAG was established on May 2nd, 1988 to execute specific, time-bound projects/programmes leading to the development of custom designed computing systems and software packages for numerical analysis and other applications. To design and develop advanced computing systems. 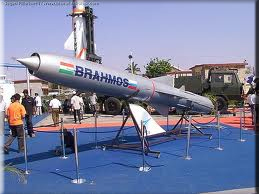 Bulk Production - Even though traditionally PSUs and Ordnance Factories undertake bulk production of weapon systems and equipment, primarily, a substantial portion of the work of production of sub-system is being farmed out by them in consultation with the nodal DRDO laboratory to private industries in the civil sector. With the opening up of defence production to industries in the private sector, their involvement is steadily going up. Spin-offs, Marketing - Private industry is called upon to exploit the civil spin-offs from the defence technology by effecting required repackaging/modification. At times there is a requirement of industry taking up maintenance of the equipment on its sub-systems for a defined period. Scope also exists for industry to seek potential market for these products in India/Abroad with due approvals. The DRDO Awards Scheme, in its present form, was introduced in the year 1999 to motivate DRDO scientists, engineers and partners in industries and academic institutions in contributing for the cause of our national security and self-reliance. The present Award Scheme, instituted by the Government of India, are therefore, meant to encourage DRDO scientists and its partners in the Private Sector Undertakings (PSUs), the private firms as well as the academic institutions in performing even better towards accelerating the pace of development of critical technologies, transfer of technologies from laboratories to industries as well as productionisation of the state-of-the-art defence systems. DRDO has a dynamic training and development policy which is executed through the Continuing Educational Programmes (CEP) for all cadre personnel viz DRDS, DRTC, Admin & Allied. At the entry level in DRDS, the newly recruited scientists undergo a 16 weeks Induction Course at the Institute of Armament Technology (IAT), Pune. Under the Research and Training (R&T) scheme the scientists are sponsored for ME/M Tech programmes at IITs/IISc and reputed universities. The fees is also reimbursed by the DRDO where scientists undergo Ph.D programme. In addition to this, the Organisation through its two premier Institutes namely Institute of Technology Management (ITM) and Institute of Armament Technology (IAT) deemed university offer courses for scientists and Armed Forces in the area of Technology Management, R&D Management and Armament.